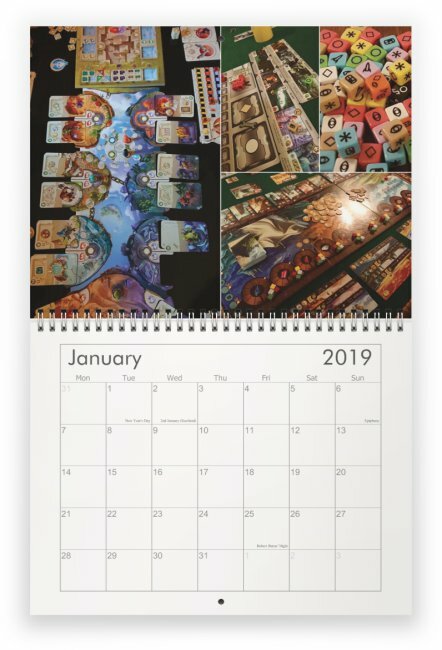 Would there be any interest in Sheffield Board Gamers calenders this year? They typically work out about £7 or £8 each but the more we order the cheaper they are. [Edit] - Just checked prices, they will be £6.50, same as last year. I'd buy one! I've really enjoyed the past ones. Wall calendars have arrived from the printers, I will bring them with me next week. They work out at £6.50 each. RikTheChief wrote: Wall calendars have arrived from the printers, I will bring them with me next week. They work out at £6.50 each. Did I say I'd like one? I thought I'd said I'd like one but now I can't see anywhere I've said I'd like one. Thanks Tom I've added you to the list.